We normally ship orders within the Continental U.S. via UPS Ground, FedEx, or U.S. Postal Service our standard charge for orders valued between $1.00 and $99.99 is $10.00. Orders $100.00 and over will be charged a flat rate of $14.95 We will however, ship your order to you Next Day or 2nd Day Air at additional shipping & handling charges if so desired. Remember, these shipping & handling charges are for one average size carton, larger orders will be charged on an actual cost basis for example large starter sets will be charged actual shipping cost. US Territories that do not qualify for shipping prices including, but not limited to, (Alaska, Hawaii, Puerto Rico and APO Boxes) will be charged the actual cost of shipping. Oversized and/or heavy packages that have dimensional weight charges will incur additional shipping charges as imposed by all shipping carriers (FedEx, UPS, USPS). Customers will be charged the actual cost of shipping. Items may include, but not limited to: Starter Sets, Preformed Layouts, Sets, Expansion Packs, and more. Call for details. Please note these types of orders can incur additional freight charges and will be added by REI at the time of order processing and will not be reflected on the final order checkout page. If you have chosen to ship your parcel to a P.O. or APO Box, the delivery service must be provided by the USPS. No exceptions. Shipping to a P.O. Box or APO Box can incur additional fees. Canadian orders will be shipped via US Postal Service, actual postage charges will be applied. 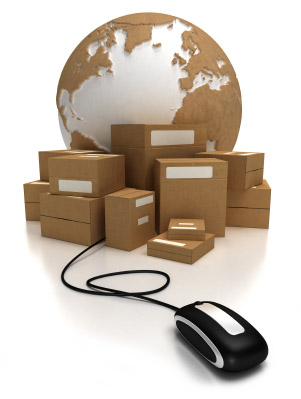 All other foreign orders will be shipped by the most safest and most cost efficient means available. If items are on back-order we will ship what is available and the rest as it becomes available. Shipping & handling will be charged on an actual cost basis. USPS EMS Express Mail is our service of choice for smaller orders being shipped to overseas destinations. USPS EMS EXpress Mail is fully trackable, requiring signature of addressee at time of delivery. A small parcel up to 3lbs usually is between $34.00 to $44.00 dollars. You will be charged actual cost of shipping over 3 lbs. Size and weight limitations apply (parcel must weigh 70 pounds or less and measure 108 inches or less in combined length and girth. Customer is responsible for all local taxes and customs fees. All charges will be in US currency. Also we have a minimum order requirement of $100.00 for all foreign orders except for Canada because of all the paper worked involved. We apologize for any inconvenience this may cause you. REI reserves the right to ship a package using a courier of our choice for any reason, whatsoever.